Happy birthday to David Hockney—he turns eighty-one today. 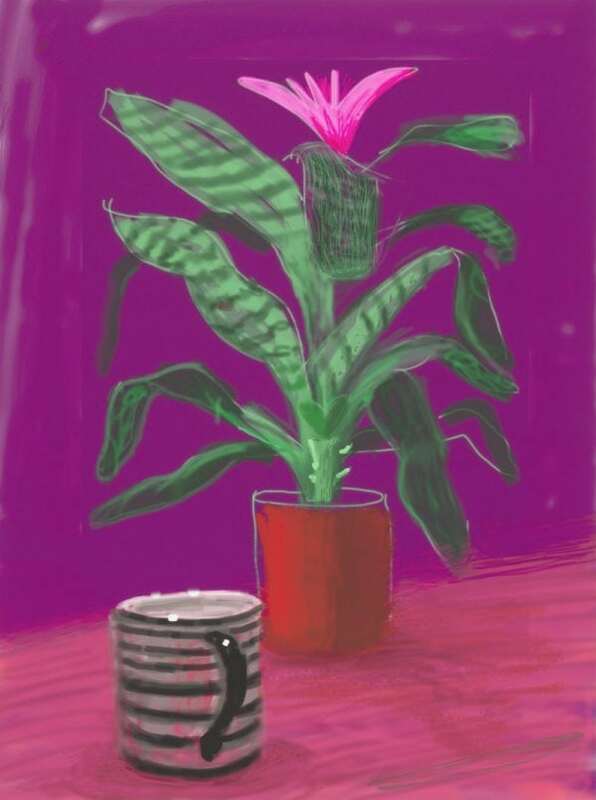 Hockney’s latest exhibition of iPhone and iPad drawings is soon to open at Annely Juda Fine Art in London. The divisive works, which offer a twenty-first-century twist to his pop-y painting style, are testament to his ongoing urge to explore the possibilities of image-making and to keep evolving. His latest work on iPads“takes it to a new level”, the artist says, “simply because it’s eight times the size of an iPhone, as big as a reasonably sized sketchbook”.